Houkodou Kumano Makeup Brushes | 1986-2019 Quest-Computer Co.,Ltd. 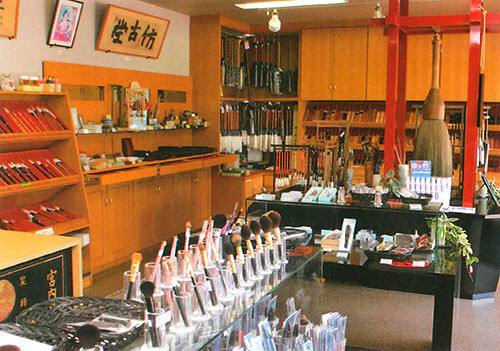 Kumano has a history of over 170 years in the creation of calligraphy brushes and the area’s brush production, along with painting brushes and makeup brushes, commands the largest national industry share, incorporating tried and tested natural hairbrushmaking techniques. 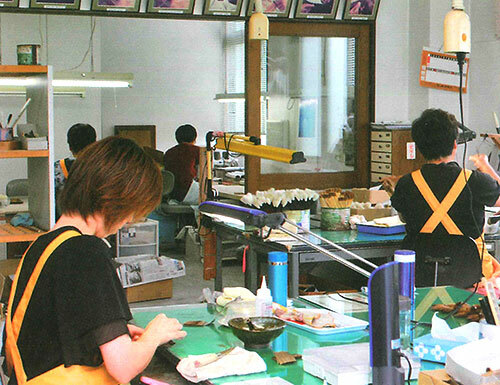 Amidst this history, the master brushmaker Houkodou was founded in 1900 by Azuma Ihara and the company worked hard to heighten its techniques. Under the company policy of “a heart full of tradition and culture,” Houkodou is currently run by the third generation of the family. With its knowledge and experience of one hundred years of brush making, careful choice of materials and diligent attention to product quality, it continues to craft brushes renowned the whole world over. 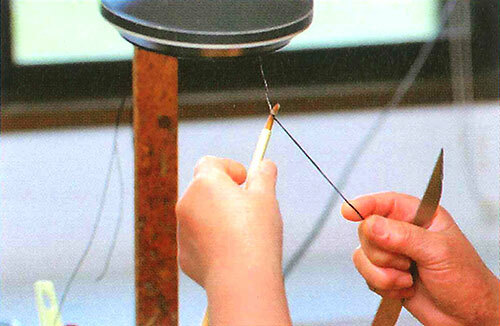 The manufacturing of Houkodou’s makeup brushes makes use of the same techniques used in traditional Japanese calligraphy brushes and each step of the process is painstakingly carried out by hand. Only the very finest quality animal hair is used and brushes are made taking the greatest effort to ensure the end product is perfect. 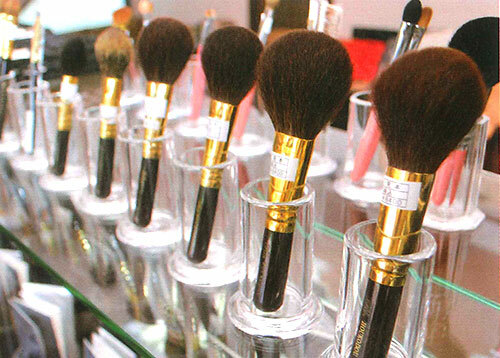 In recent years, the world has recognized the quality of these brushes and they are used by many top makeup artists in the fashion industry at major fashion shows such as the Paris Collection. This brush is used to apply foundation evenly across the face. It is suitable for both liquid and powder foundation. This brush is used to apply face powder evenly across the face. It is larger than the foundation brush, enabling you to apply the powder gently. This brush is used to apply blusher across the cheekbones. It can also be used to apply highlight powder to the T-zone of the forehead, nose, and cheek as well as the tip of the chin, to enhance the color of the cheeks. This brush is mainly used to apply makeup to the eye-hole, enabling you to create a depth to your eye makeup. We also offer a wide range of other brushes. Foundation brush (for powder)/face brush/cheek brush/eye shadow brush. Please remove any remaining powder from the brush after use with a tissue. We recommend you wash your brush in water once every week because the brush hairs will mesh together and hinder smooth application. Moisten your brush with water and wash it in facial soap, pushing down gently on the base of the hairs. After rinsing the brush in tepid water, squeeze out any remaining moisture and leave it to dry in the shade. Please do not expose it to direct light or to a hair dryer. Also, please be aware that if you do not remove all the moisture, the brush will molt and there is risk of mold growing. After use, remove any remaining lipstick with a tissue. Please make sure the brush is always kept clean. If you place it in a case, make sure that you keep the brush straight. Warning: If you have delicate skin, you may experience trouble. Should you sense any discomfort, please refrain from use immediately. The tips of the hairs are soft and extremely delicate. The tips of the hairs are soft and extremely delicate. This is the finest kind of squirrel hair. The tips of the hairs are soft and glossy. The brush tip is fine and smooth. The hairs are soft, and of the finest quality, ensuring that the brush does not lose its shape. The finest quality goat hairs are long and fine. The hair comes from the area close to the throat.